I love everything about this. This is a scene of a junkie so fucked up on street meat that she’s oblivious to chaos–a high-end dog fleeing for its life, Bernie Sanders(!!! ), the Page Six photog in the middle–the product isn’t in frame, but they got her with cash in-hand, which is certainly enough evidence for McNulty to start working a wiretap. If you thought New York City’s seedy underbelly was dead, just hop on the 6 train to 64th and Madison, baby, and you’re in street meat city. 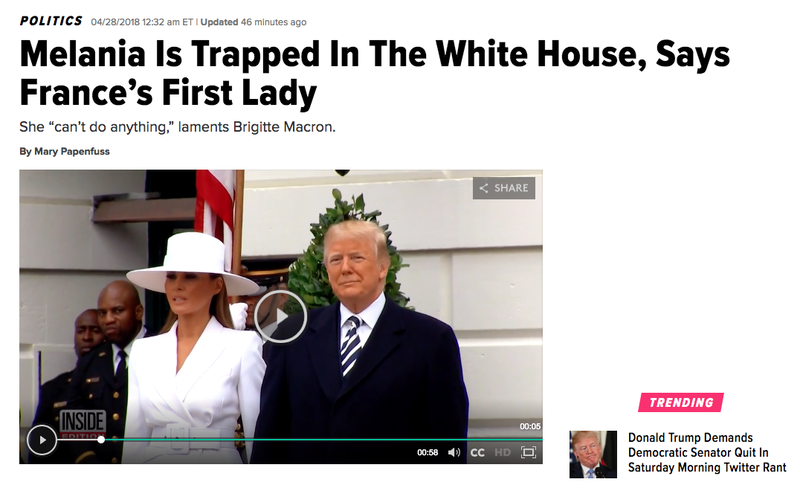 Page Six aptly notes that on the date this transaction occurred, Mr. and Mrs. Trump were dining with the Macrons on fancy “meat” meats. This is an image of freedom. Ivana Trump Seems to Think Don Jr’s Ex-Wife Has 5 Children, But.... Not Don Jr?